A vendre pour 35.000 GBP, cette jolie AX. Téléphone 01759318506 (UK). This car has spent all its life in Norfolk until 2012 when I bought it and since then it has had a facelift with a repaint, new hood and an engine overhaul. 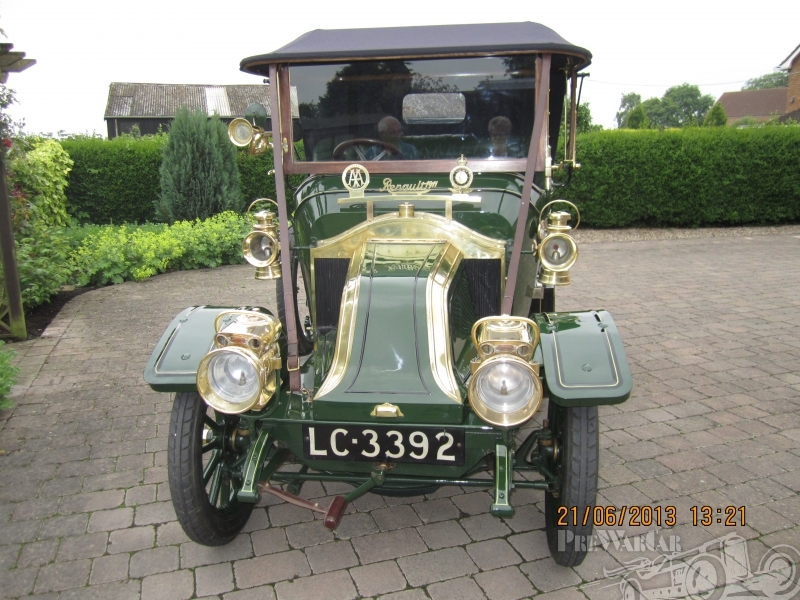 It has a Veteran Car Club Events Passport EP0107 issued in 2012. 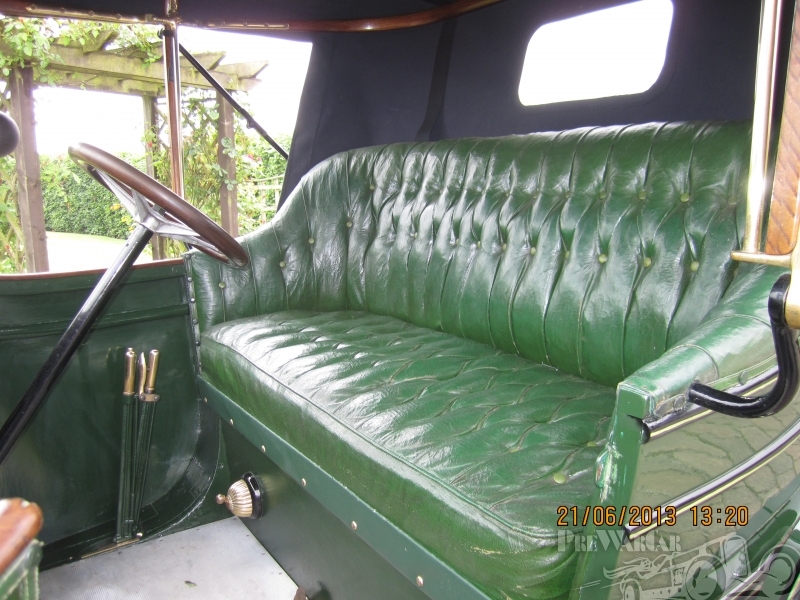 The bodywork is in excellent condition due to the repaint, the upholstery is in good un-restored condition. Other features of the interior of the Renault are the clock, typical “piano” pedals, one of which is the accelerator, and the five-spoked steering wheel with wooden rim. There are no hand controls on the steering wheel or column, but a hand throttle is fitted to the dash. The gear change is a right-hand quadrant type. 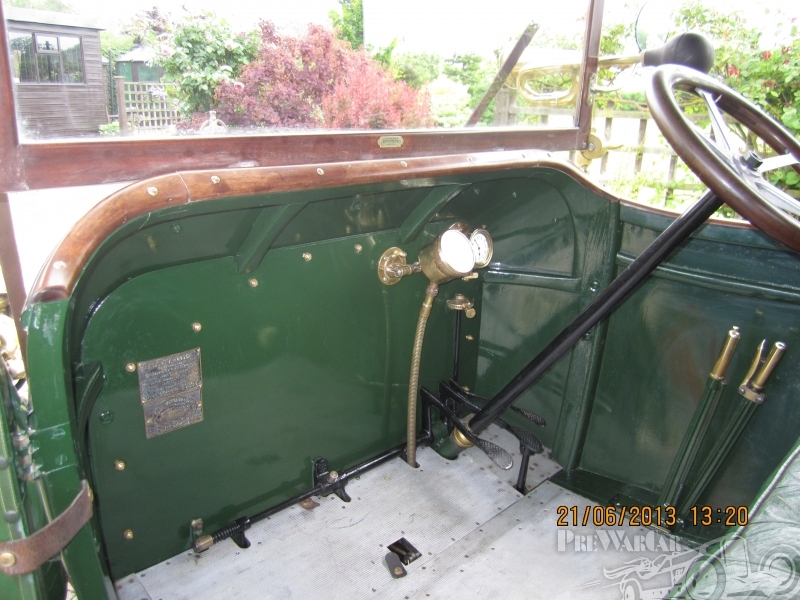 There is a single twist brass bulb horn and a period brass rear view mirror. Lighting is in the form of oil-fired brass side lamps and carbide headlamps. The right-hand handbrake lever works on expanding shoes within the rear drums, and aft of the gearbox is a foot-operated transmission brake. 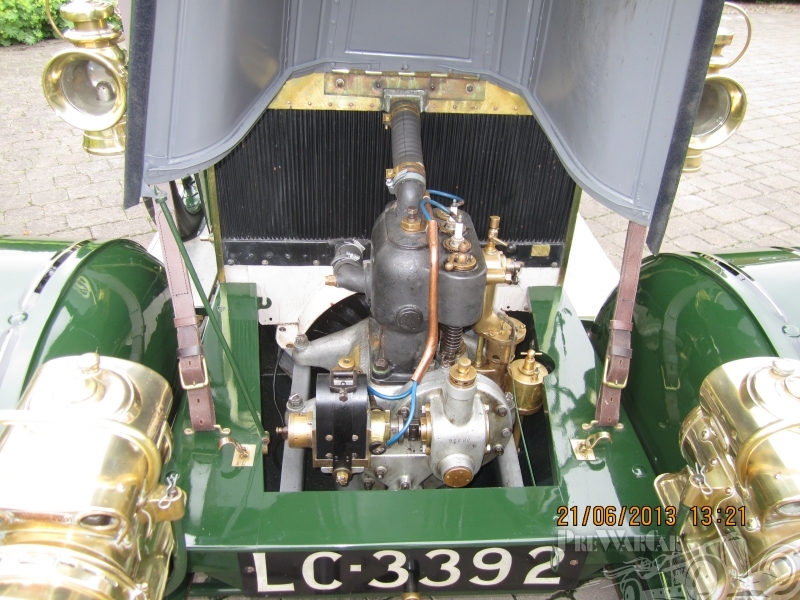 Under the bonnet is the neat and accessible engine, with the correct updraught carburettor. The cylinders are in a monobloc casting with fixed cylinder heads, and the valves are mechanically operated from the camshaft, located in the nearside of the crankcase. The radiator behind the engine has numerous vertical copper tubes, and a flywheel fan assists cooling. The engine and gearbox are supported in an angle steel sub-frame. The chassis and running gear are conventional, and detachable wooden spoked wheels are fitted carrying 7.10 x 90 Dunlop Cord Tyres – all are in near new condition, and a spare Stepney wheel with tyre and tube is fixed to the offside. 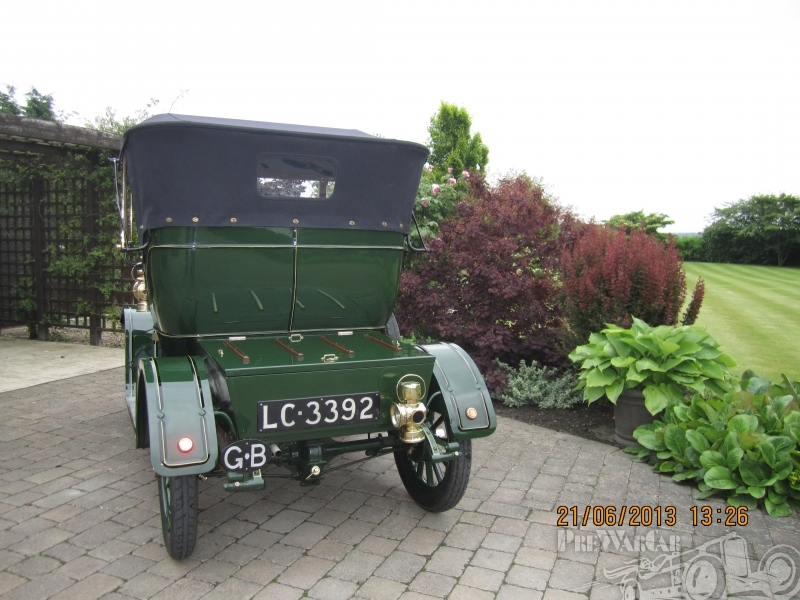 and was originally supplied through the UK via the dealer J Grose Ltd, and a body was built for it for a Doctor. 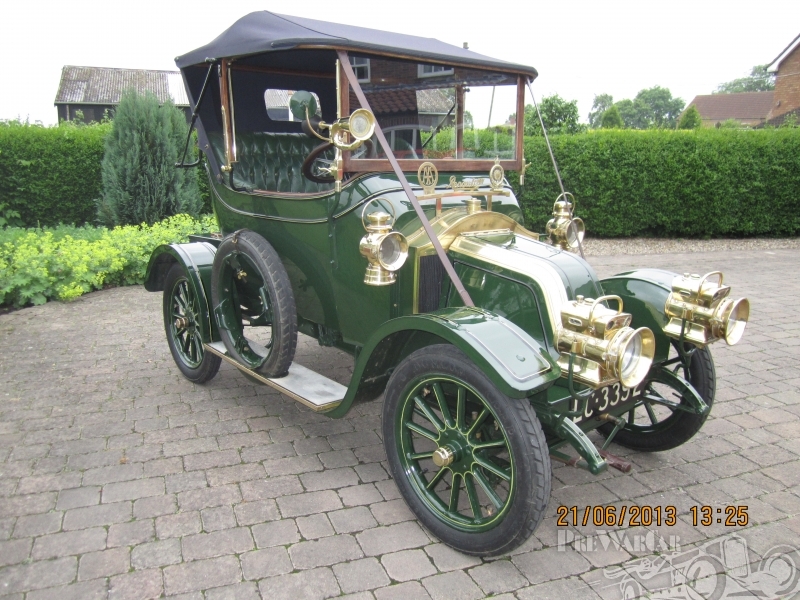 It was then believed to have been bought by Sir Henri Deterding of Kelling Hall in the parish of Holt, and was driven for many years by his chauffeur Mr Pumfrey. When Mr Pumfrey left Sir Henry’s service in the 1920’s he was given the motor car, possibly as a golden handshake. Mr Pumfrey retired and took the car to Field House Farm, Heydon. It was used, so the story goes, as a farm cart for herding sheep and carrying hurdles. Mr Pumfrey eventually acquired a tractor and the car was left in a cart shed for many years to deteriorate, where it became home to numerous free range hens. After his death, at a farm auction in the 1940’s, the car was bought by the late Sid Kidd for £1, he consequently sold it to Mr EG Howard for a “fiver profit”, who after cleaning it out sold it to Mr Hugh Smith for £40 in 1947. Mr Hugh Smith was born in 1914 and lived in Cromer Road, Holt until he died in 1989. 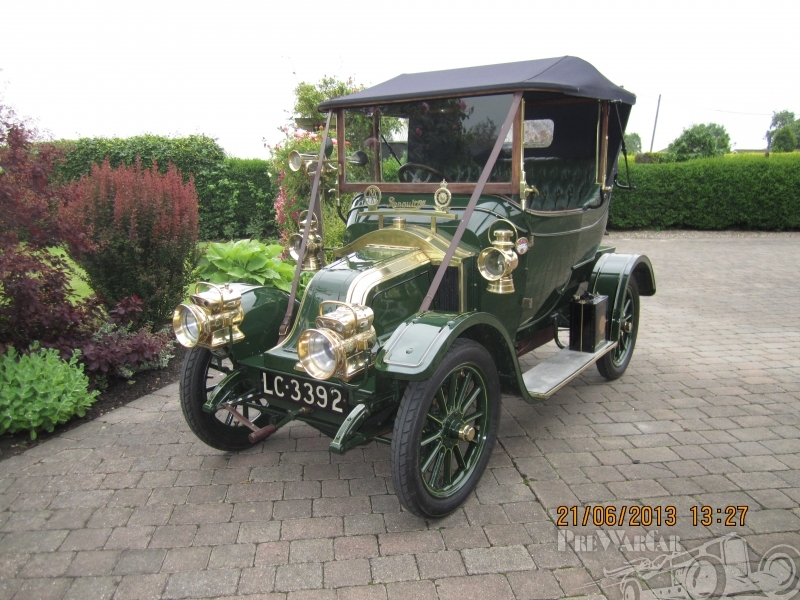 He was a self taught engineer and enjoyed working on various projects in his collection of cycles and cars, which were auctioned after his death by Aylsham Salerooms, the sales catalogue is part of the documentation which comes with the car. Mr Eric Bates, of Wroxham, bought the Renault AX at the auction in 1989 and used it regularly until 2001. It was in storage for the next 11 years. Restauration un point trop claquante, mais relativement sympathique !!! Pour le coup une conduite à Droite c'est normal. Après un hiver dehors, elle aura sa patine ! Doit on lui faire subir un nouvel outrage...? Elle est aussi verte que le gazon " anglais"
Celle-ci avait été sortie le 28/09/11 par la filiale Renault Limited de Londres. 2011 ? Elle est encore sous garantie.